It's a spacecraft called Zuma, but that's just about all we know. A SpaceX rocket with a super-secret payload could take flight from the Kennedy Space Center in Florida on Friday at 8 p.m. ET. Liftoff was tentatively scheduled for Wednesday night, but it was pushed back until Thursday. Then on Thursday afternoon, the launch was delayed another 24 hours. Spokesperson John Taylor said in a statement Thursday night that SpaceX decided to "stand down" in order to "take a closer look" at some data regarding the rocket's fairing, or the very top portion that houses the payload. Taylor said SpaceX is keeping its options open for a launch Friday but plans to"take the time we need to complete the data review and will then confirm a new launch date." Zuma is headed for low-Earth orbit, but we don't know exactly where. Unlike the vast majority of its launches, SpaceX will cut off its live stream before the payload is deployed. The idea is to leave no clues about its final destination. Northrop Grumman (NOC) -- the Virginia-based aerospace and defense company that says it's "involved" in the Zuma mission -- declined to give any details about the spacecraft or reveal which arm of the government funded it. Eric Berger, a veteran space reporter who writes for ArsTechnica, reported that Zuma actually belongs to the National Reconnaissance Office, a U.S. government agency that develops and maintains spy satellites. Berger acknowledges that the NRO has publicly denied that the Zuma payload belongs to the agency. SpaceX conducted a secretive launch for the NRO back in May. In that case, the agency did not shy away from claiming involvement. Friday's launch is a big moment for SpaceX, even without the gravitas of carrying a top-secret governmental payload. It'll mark the company's 17th launch so far in 2017 -- a significant pickup in pace over 2016, when the company launched just eight times all year. The company hit a major snag in September 2016 when one of its rockets exploded on the launch pad, destroying a satellite that Facebook planned to use to beam internet access to remote areas of the globe. The incident left SpaceX grounded for months. 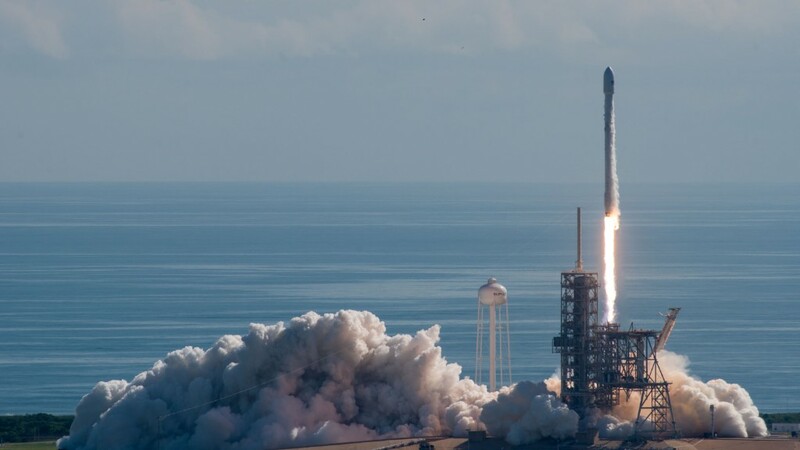 And the mishap didn't do much to assure potential SpaceX customers that the fledgling company could provide the type of reliability offered by United Launch Alliance. ULA, a joint venture between Boeing (BA) and Lockheed Martin (LMT), boasts a pristine launch record and decades of aerospace expertise between the two parent firms. ULA completed 12 missions in 2016 compared to SpaceX's eight successful launches and one failure. But SpaceX came roaring back in 2017. With 16 flawless launches completed so far this year, it's now the busiest private-sector launch provider on the planet. ULA, for comparison, has completed seven missions. SpaceX also offers its customers cheaper price points than ULA. As part of its efforts to bring down the cost of spaceflight, SpaceX lands the first stage booster of its rockets after most of its missions. While the maneuver initially seemed far-fetched, and early attempts failed, SpaceX has now mastered it. If the first-stage booster lands safely after Friday's launch, it'll mark the 20th successful rocket landing out of 25 attempts.